WHAT TOOLS DO YOU NEED TO COMPETE IN THE DIGITAL AGE? This century will clearly be remembered as The Age of Technology. Wireless technology permits us to communicate with friends, family and business associates instantaneously, regardless of location. Information is no more than a key stroke away, whether from your computer or mobile device. Skills acquired in the past century alone put you on the wrong side of the Great Digital Divide. Today’s younger generation, having grown up in the digital world, is well positioned to push baby boomers and seniors aside as they enter the job market. How are your basic computer skills? Whether you use technology for strictly personal use or for professional purposes, you will need the right tools to take advantage of the many changes that have occurred in the worlds of communication and information gathering. The following are some basic questions you should be asking yourself. – Whether you use your home based computer for personal or professional purposes, are you comfortable with the software applications you are using? – Are you able to write, format and properly file documents? – How about sending and receiving attachments? – Do you know what updates are important? – Do you have an active anti-virus program? – Do you have a backup program? 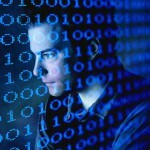 – Is your wireless network secure? – Do you have the right cell phone provider for your location? – Are you using any cloud based services? We are living in a mobile world. Within the next 2-3 years, over 50% of Internet access will be done through a mobile device. Are you ready? If you or someone you know needs help crossing the “Great Digital Divide,” or any other technology issues, do not hesitate to contact me at 917 921-4518 or by e-mail at jblue@bluetutor.com. Feel free to click here to receive my free white paper on Technology Tips on setting up a home office and becoming a true road warrior. A recent article in the Wall Street Journal http://on.wsj.com/Aqb8dW envisions “The Coming Tech-led Boom.” If the past century produced the Industrial Revolution, this century clearly will be the age of Technology. Why? Information is no more than a click away and virtually free. Wireless technology permits us to communicate with someone anywhere in the world instantaneously. Technology has already impacted manufacturing through the introduction of automated systems. The job market has changed radically. Companies are looking to hire innovators who are able to utilize their knowledge of technology to develop new products and services which will increase productivity. Without basic computer skills, people in career transition, either because of corporate downsizing, looking to start their own business, or re-entering the job market, will find it extremely difficult to be competitive. Skills acquired in the past century alone puts you on the wrong side of the Great Digital Divide. Today’s younger generation, having grown up in the digital world, is well positioned to push baby boomers and seniors aside as they enter the job market. Does your technology support your efforts, either on a personal or professional level? How good are your basic computer skills? Do you know how to determine what you need to be an effective Road Warrior? LOOKING FOR A SIMPLE CELL PHONE? 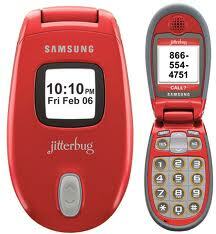 For those of you who are not interested in a fancy smartphone, but a simple cell phone for telephone use only, check out the jitterbug phone at http://www.jitterbugdirect.com/. Well over 90% of Americans own a cell phone. While the Jitterbug is advertised as the “Cellphone for Seniors,” its attractiveness is to any age group that is looking for a phone that is easy to see, hear, and simple to use. In this mobile world, being able to reach out to someone in an emergency, regardless of age, makes having a cell phone a necessity. If you or someone else in your family has resisted having a cell phone because of the complexity of the most popular models on the market, consider the advantages of investing in a Jitterbug. 2. Larger screen, easy to see, even in the daylight. 3. Larger keyboard, making dialing easy. 4. Live, 24-hour support operators. 5. Affordable pricing starting at $14.99 per month. If you or someone you know needs assistance selecting a cell phone, or any other technology issues, do not hesitate to contact me at 917 921-4518 or by e-mail at jblue@bluetutor.com. Feel free to click here to receive my free white paper on Technology Tips on setting up a home office and becoming a true road warrior. HAVE YOU BOUGHT YOUR FIRST TABLET YET? 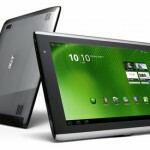 Tablet shipments totaled 26.8 million units in the 4th Quarter of 2011, an increase of 150% over Q4 2010 according to researcher Strategy Analytics. Worldwide tablet shipments topped 66.9 million units in 2011 against 18.6 million in 2010. With 15.4 million iPads sold for Q4 2011, Apple accounted for the lion’s share of tablet sales. Hot in pursuit are Android based tablets. Many of my clients who refused to embrace technology because they found computers intimidating have managed to bridge the digital divide by embracing the iPad, Kindle, or Nook. There isn’t a day that goes by that I don’t hear from a client wanting to learn how to use their new iPad. The majority of my new cliens have never used a computer and will probably rely only on their tablets for their communication and information needs. Below are some of the major reasons for their popularity. 1. Portability – Smaller and lighter than a computer, it can easily be carried in a briefcase or pocketbook. 2. Larger Screen – Much easier to read. 3. Ease of Use – One touch away from your favorite news services, stock reports, restaurant reviews, movie schedule, etc. 5. Mobile Internet Access – Ability to browse the Internet from the car, train, beach, etc. 6. Immediate Start-up – Slide the button on top to turn it on for instant access. If you or someone you know needs assistance with any of their new tablets or gadgets, or any other technology issues, do not hesitate to contact me at 917 921-4518 or by e-mail at jblue@bluetutor.com. Feel free to click here to receive my free white paper on Technology Tips on setting up a home office and becoming a true road warrior.